Join ASBPE for a webcast showcasing the 2015 Azbee Award Magazines of the Year, FSR magazine and Restaurant Business! In this webcast, Connie Gentry from FSR and Kelly Killian from Restaurant Business showcase their magazines and discuss best practices for producing an award-winning publication. Click here to view the archived webcast. You will need to be logged into your ASBPE account to view. Three years in: Alignment of editorial and audited circulation, steady and consistent growth, partnerships and industry engagement. Strategic execution of editorial content: Building and leading a team, defining and growing the audience, establishing and expanding the processes. Reinvention: The process of building a new vision for the future. Differentiation: Delivering on our unique mission of business intelligence for growth-minded restaurateurs. Design: The integral role design plays in our success and how editorial and design teams can work together. Opportunity: How our team keeps striving to make the content better, fresher, stronger. Connie Gentry, editor of FSR magazine, has spent more than 17 years in publishing—predominantly writing and editing for business audiences. She joined FSR in October 2012 in time to produce the first issue. With its national circulation plus a dynamic news website, FSR magazine covers full-service restaurant operations, food, and beverage. In 2013, FSR won the coveted FOLIO: awards in the Foodservice and Hotel category for Best Design of a New Magazine and for Best Editorial over a Full Issue. FSR stories are written by a team of staff and contract editors, as well as freelance writers. Prior to FSR, Connie served as senior editor for New York City-based Lebhar-Friedman. She is always eager to work with creative freelancers who write with confidence, originality, and a dedicated commitment to journalistic excellence. Kelly Smith Killian oversees editorial for both Restaurant Business and FoodService Director magazines. 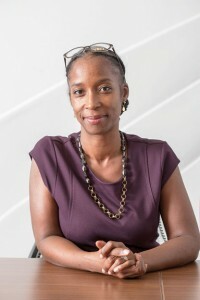 She has more than 20 years of experience in journalism, including consumer, trade and custom publications. She has covered everything from foodservice—formerly as editor-in-chief of Restaurants & Institutions magazine—to real estate to weddings. 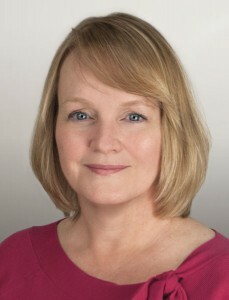 Previously, Kelly served as editorial consultant on the launch of Four Seasons Weddings magazine and website and spent seven years at Money magazine, including three as assistant bureau chief in Washington, D.C. Kelly studied English at the University of California, Berkeley and she is an alumnus of the Radcliffe Publishing Course at Harvard (now the Columbia Publishing Course).